The detritus of such battles can be found to this day. Farmers may be heard to curse as yet another plough breaks upon shards of masonry lodged in a field, miners may unearth artefacts resonating with ancient power or runecrafters may find that runestones form into anomalous shapes, arcane echoes moulding the essence independently of the craftsperson’s will. More often than not these articles are discarded or left to gather dust on a mantelpiece, but there is knowledge to be gained from these remnants of a lost age. Such artefacts are steeped in history and the memory of stone is long. Anyone wishing to learn more should present their findings to the archaeological team at Varrock Museum. They will gladly recount the tale of the hapless mage Dahmaroc; a worldy scholar and craftsperson who had the misfortune to be born into an era of strife. You will need to be a member to find rocks and to access all skills needed, but there are no minimum level requirements. While training your non-combat skills, you may occasionally receive a strange rock. Visit Varrock Museum to have the stones appraised and you will discover that these are parts of the statue of Dahmaroc; a mage who was turned to stone during a duel and whose cursed remains have been scattered across the world. Initially, you will only be able to obtain 2 rocks from any particular skill. When you have received the first rock for a skill, the drop chance for the second will be reduced by half. Once you have received 2 rocks from practising a skill you will receive no more from that skill until the statue is rebuilt entirely. Note: You cannot receive any statue pieces while training Dungeoneering within Daemonheim. Once you've gained access to Prifddinas, you'll be able to access a second Shattered Heart statue: the golden Statue of Rhiannon. Unlike the original statue, you need to opt into receiving golden rocks. You can do so by speaking to Auron Ithell at the Tower of Voices. Skills involved in obtaining golden rocks vary, as the skills are based around those of the elven clans rather than specifically non-combat skills. Note that the golden statue in the Max Guild is a replica, only meant for reference and decoration. You can talk to Auron Ithell in Prifddinas, or to Marius Giste or Barnabus Hurma at the Varrock Museum, to get your mitts on a statue collection bag. The bag, which can be worn in the pocket slot, automatically stores any statue pieces you gain from a skill activity and can be filled with your library of rocks. Note that this works for both strange rocks and golden rocks. When you wish to build the statue using pieces from your collection bag, simply empty the bag and use the rocks on the statue base. You may also 'look-in' the bag to check which pieces you have currently collected and which have been added to the statue. If you lose or drop the statue collection bag, you will also lose its contents. This means that you'll have to complete skill tasks to regain the rocks you lost. By acquiring a pair of stones from a particular skill you may add a piece to the statue, which will grant additional experience in that skill. The higher your current level in the relevant skill, the more XP you will receive as a reward. For the golden statue, XP rewards are double those of the Statue of Dahmaroc, and the golden statue can be built as often as you are able to do so - no need to wait a week. The formula for the experience gained by adding your strange rocks to the statue is 2 - 2 + 100, where is equal to your current level in the skill of the particular rock. The formula for golden rocks is therefore (2 - 2 + 100) x2. 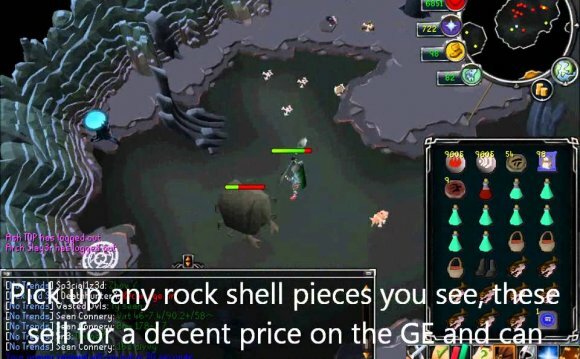 For example, using the Herblore strange rocks at level 70 will grant: 702 - (2 × 70) + 100 = 4860 experience added to your Herblore skill. For a golden rock this would be 9720. There is a piece of the statue for each of the skills mentioned above. Each one is made up of 2 strange rocks found while training. Once you have obtained a pair, you will receive no further strange rocks from that skill until you have completed the entire statue. The first time the statue is rebuilt, your Kudos with the museum's research team will increase, and you will receive a statue plinth which can be placed in the study of your house. You can then start gathering rocks to build a new statue, but you will be unable to complete it until a week has passed since you last completed a statue. Each time you complete a statue in the museum (including the first week), you will be given a replica statue piece to add to the plinth in your house (though they must be added two at a time, like in the museum). Because there are a total of 30 statue pieces, and you can only complete one museum statue per week, it will take a minimum of 30 weeks to complete the replica statue in your house. This statue is, and will remain, purely cosmetic, although having completed it at some point is a requirement to obtain a trimmed completionist cape.